Rewa defeated Labasa in a penalty shootout. 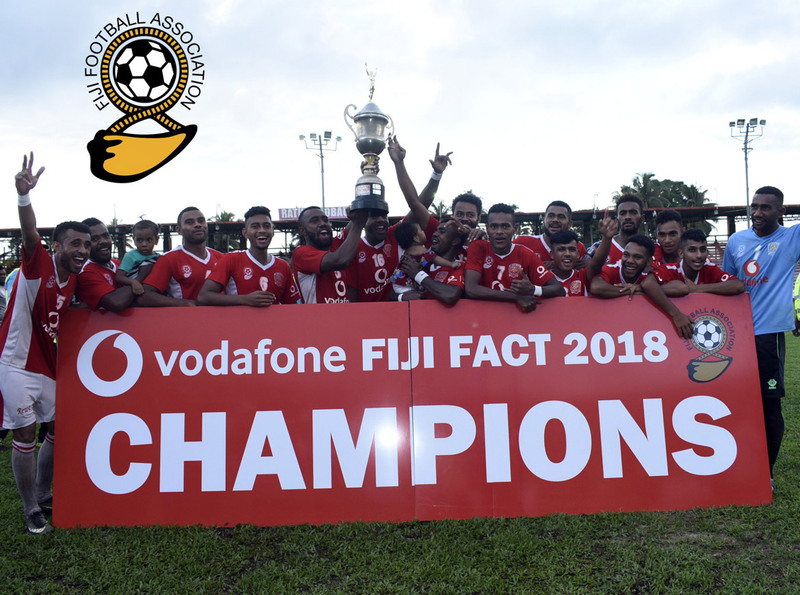 Rewa took it down to the wire in the final of the Fiji FACT earlier this month with favourites Labasa forcing the match to a penalty shootout which saw the defending champions prevail 5-3 in front of a 9,000 strong crowd at Ratu Cakobau Park. Securing back-to-back titles was far from an easy task for Rewa according to the Rewa FA president Nazeel Buksh. “That was one hell of a match,” Buksh said. Labasa were hot favourites to take out the final after beating the Delta Tigers 4-0 when they met in pool play. “I think that 4-0 loss to Labasa during the pool match was not part of our plan as we fielded our second string team,” Buksh explained. For Rewa goalkeeper Benito Waqavou the final was a hugely memorable event. Playing in his first domestic final, the 23-year-old was instrumental in his side’s victory, though he said his Golden Glove winning performance was just part of an overall team effort. “I think I am not the only hero here today as all the boys really worked hard for this victory,” Waqavou said. It has been an interesting journey for Waqavou who began his football as a defender before making the switch to goalkeeper. “I wasn’t trained to be a goalkeeper from the grassroot level,” he explained. “I used to play right back or wing, but our goalkeeper got injured and being the tallest in the team forced the coaches to make me play as the goalkeeper. This got me selected for the Rewa youth team.